Adorable! Disney has released an international teaser trailer for the musical Moana, the latest from Disney Animation and co-directors Ron Clements and John Musker (of The Little Mermaid, Aladdin, Hercules, The Princess and the Frog). 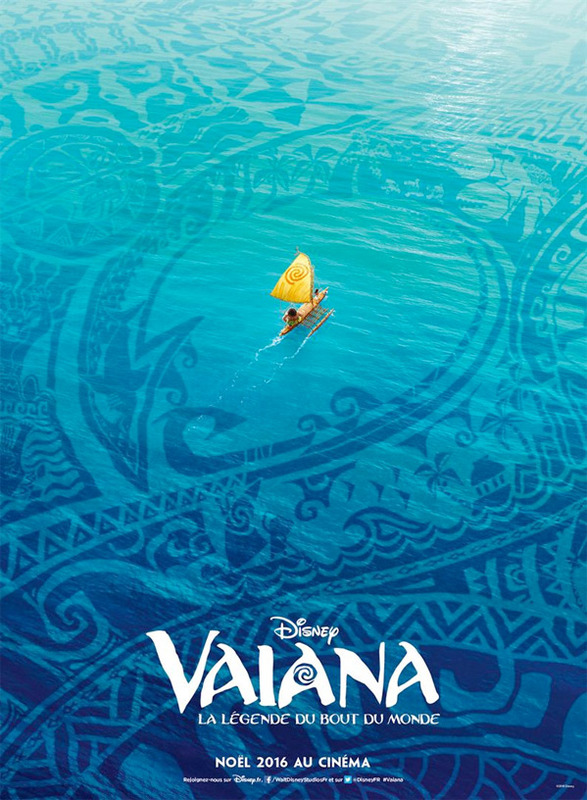 The trailer doesn't feature any dialogue, instead it shows an early scene from the film where a very young Moana learns that she has the power to control the ocean, specifically the water. I love the shot with the turtle swimming by. Auli'i Cravalho voices Princess Moana, and the rest of the cast includes Dwayne Johnson, Alan Tudyk, Phillipa Soo. If you want to see more footage, go back and watch the teaser trailer or wait until the next full-length trailer debuts - hopefully soon. Until then, enjoy. I will be interested to see how much they spent on those water effects. I don't think I have ever seen more realistic fake water. // I also like how they scored with a Japanese song in the spirit of Pacific Islander music. So cute. I want to hug her. Damn! As an animator I get so jealous seeing the amazing work being done on these films. The tools they get to work with are spectacular. Making water "act" is incredible!